If I say “Coca-Cola,” you probably see the cursive typeface, red and white colors, curved bottles, and polar bears, right? That’s because Coca-Cola has spent decades building its brand with precise imagery, a consistent logo, and steadfast messaging. 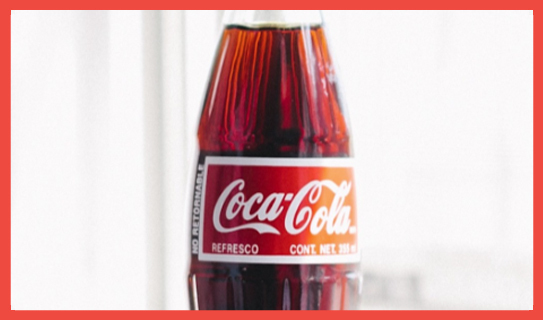 While Coca-Cola is the quintessential timeless brand, many entrepreneurs have a tough time replicating its success because they’re drawn to the latest fads. Unfortunately, that’s not the key ingredient for enduring the test of time. Styles change, but your company’s name and logo should not. You need to get it right from the beginning so you won’t confuse your target audience. It’s imperative that you create a brand that reflects your company’s values and is based on a shared passion with your target audience. The brand that stays top of mind with consumers is the one that was built with “soul,” is driven by passion, and is marketed truthfully and consistently. A brand like Coca-Cola is truly timeless. Despite shifting marketing and advertising efforts, the brand is always surrounded by its unmistakable logotype and color scheme. Buck the trends. If it’s in the moment, it’s unlikely to be in the future. Trends don’t hold up over time. People want something that stands out. A trend is cool for a very short time, then it quickly turns into an annoyance. The more honest and creative you are when crafting your brand identity, the more likely it is that you’ll create something timeless. Find a unique angle. If you try too hard to be like everyone else, you won’t be able to define your own unique brand identity. Look beyond your competitors, and dive deep into your own beliefs. Nail down what you’re about as a company, basing it on your core values, then determine how you want to communicate that to your target audience. Once you decide exactly what message you want to get across to your audience, you can create a truly unique visual and verbal brand language that’s lasting. Define your brand. A timeless brand has a shared passion with its audience. For example, Patagonia makes clothing for people who love climbing, skiing, and other outdoor sports that don’t require a motor. The brand caters to anyone who likes to connect with nature—hence it was able to expand from climbing gear to items for all other outdoor activities without losing its focus. This shared passion is directly reflected in the company’s sales because saving Mother Nature equals saving its audience’s playground. Avoid being too descriptive. When launching your brand, stay away from a name or logo design that’s too descriptive to avoid costly rebranding as your core focus shifts in the future. The uncertainty surrounding a rebranding effort could cost you time, money, and even loyal customers. At the very least, you’ll confuse them—as we recently saw with Airbnb’s rebrand PR nightmare. When you solidify your brand from the start, you can focus on stabilizing it and investing in it. A brand that’s in unison with its identity remains relevant over time, and every party involved knows why the brand looks, walks, and talks a certain way. Base your brand on your unique offering, and connect with your audience meaningfully—you’ll be well on your way to developing a timeless brand.